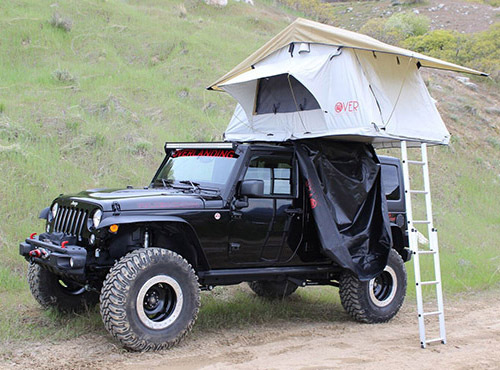 A rooftop tent will benefit those who love to camp and explore. 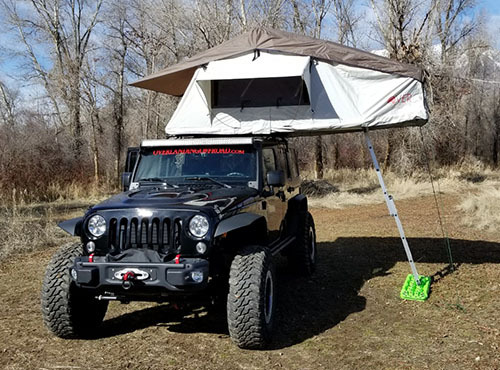 Easy to set up you sleep off the ground away from bugs and other animals. 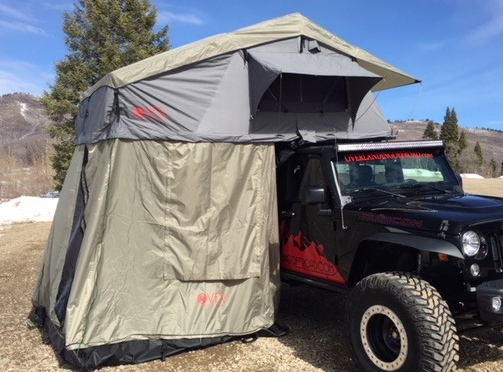 Your tent stores on top of your vehicle so you have more room to carry equipent and friends! 2-3 man sleeping area, 135 lbs, comes with aluminum ladder, heavy duty cover, and all necessary tools for to install. 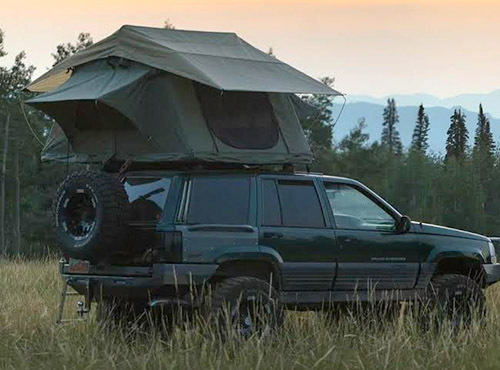 The Largest of the Overlanding Off-Road Fleet. 4+ man sleeping area. 6'1 W X 8' long.